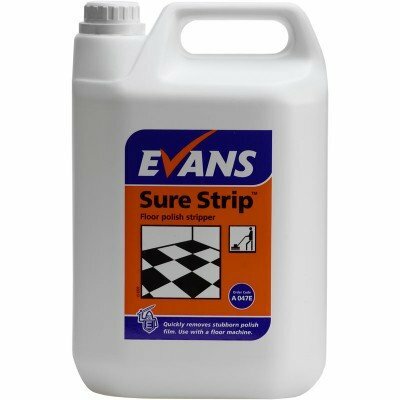 Evans Sure Strip removes stubborn and resistant polish film, with a highly effective action when be used in conjunction with a floor machine. Q. Can this product be used on porcelain floor tiles? A. Our supplier assures us that Sure Strip Floor Stripper is fine to use on porcelain tiles.